It’s my birthday – or will be by the time this post goes live. That means it’s once again time for my year in review, for those among you interested in the inner workings of me, myself, and I. If you’re new to this ride, you might want to check some of the previous years’ posts to catch up. Otherwise, strap yourself in, because we’re taking a ride in the way-back machine to this time last year. One of the phrases my clients are probably tired of hearing me say is “Plan. Do. Evaluate.” It was something I learned from my kid when he lived in the wilderness camp for two years. They did it every day. I’m not so gung ho, so the beginning of a new year is a great time to look back, see what went well, where things went off the rails, and begin to formulate a new plan for this year. So that was the “plan” part. The “doing” didn’t go as well as I’d imagined, but not nearly as bad as I’d feared. My 2017 theme was Collaboration, and I doubled down on that in 2018, bringing on a few new (and amazing) part-time team members to round out the organization. I got a LOT better at trusting Jeanie to do the work… maybe a little too well. There were times when I found myself with little to do – and no motivation to step things up. I found myself going through a mild depression about half way through the year that lasted most of the third quarter. More on that as we look at how I fared in my 5 Key Area goals. This year, I wanted to trust more deeply. Opening myself to a loving relationship wasn’t really on my mind when I set my goals for the year, but nothing sets you up to trust more deeply like new love. I met and fell hard for a guy that checks boxes I didn’t even know I had. That was one of the biggest surprise blessings of the year. It hasn’t been easy to let go of old stories, patterns, and habits. 10+ years of marriage creates some deep ruts in the routine patterns of your brain. It also came with challenges that really forced me to examine my beliefs about life, God, and really, everything. The year-end result is exactly what I’d hoped for, even if it didn’t happen the way I’d planned. I know myself more deeply. I trust my decisions more fully, and I feel infinitely more confident in my relationships because of it. About mid-year, I got the intuitive guidance that I needed to pare down everything and get ready to move. So I did. I put nearly everything in storage, expecting that I’d go on the road once my youngest was back home with his dad. That didn’t happen. At the very last minute, I found a new apartment on the opposite side of town and I’ve been there ever since. It worked out so effortlessly, that it felt like Divine timing. We had some clients complete the Incubator earlier than expected (all but one was a Chaotic creative, which is another story for another day). That also called me into a deeper relationship with my sense of Faith. It’s easy to say “letting go of a client makes room for something even better”. It’s another thing to believe it and live by it. I expected this might happen as the Incubator grew – a function of needing to refine our screening process as our pool of applicants grew. Several clients were entering a business downturn when they came to us (normal in every business), and when cash flow slowed, it scared me a bit. I had to lean harder into my Faith, trust the process, and keep showing up to do the work in front of us. This year’s goal was a continuation of last year. I needed to continue to rehabilitate and strengthen my relationship with myself. My ex remarried in a surprise wedding in China, which created a lot of unexpected emotional stuff for me. As an advocate for my child (who still lives with my former husband), there were a lot of unanswered questions about his new stepmother and stepbrother. As someone still friends with my ex, it was another emotional blow in the trust department. The emotional tailspin found me unable to complete the Creative Freedom shooting season, and we ended with only 10 episodes – my shortest season to date. I spent the rest of the summer hanging with my kid and my new sweetheart, digging into those relationships for some stability and comfort. Intellectually, I knew that I had no longer been attached to my ex husband for well over a year, but emotionally, the marriage started a grieving process I didn’t even know I needed. So I took it easy all summer, until we were able to finally tell my son the big news. Initially, he seemed shocked, but took it well. As time has gone on, however, he’s had some emotional “leaks” that indicate he’s trying to wrap his 12 year-old brain around what’s happening to his family. I felt the final stitches of my family ties unravel this year. My last trip back to Michigan brought some joy, but a lot of pain, and it became clear that it’s not my home anymore. It’s where my kids live. It’s where some of my best friends are. But it’s not home. On the one hand, this year was a joke in the physical fitness department. I didn’t hit my goals and I found myself undoing all the progress I’d made in 2017. On the other, I learned a LOT about my body. A trip to the ER got me more focused and curious about how nutrition really affects me. I learned that iron is inversely related to blood pressure. So if my iron is higher, my blood pressure is lower. I didn’t learn it from the ER doc who was treating me for a migraine, tho. I learned it from donating blood at Red Cross. This year I learned a LOT about what works for my body (and what doesn’t) – mostly through trial and error. I learned that, while I’m grateful for medical doctors, they’re overworked and focus on symptoms more often than causes. It’s up to me to be in the know about my body and what it needs to be healthy. I’ve been lazy about that all my life. That changed this year. My emotional funk also did a number on my mental well-being this year. Despite having a fantastic relationship with a guy that I see as a real blessing in my life, it wasn’t all sunshine and rainbows. We each hard plenty of relationship fear and baggage that was triggering us, and it took patience to drop the baggage and hold each other instead. Suffice it to say that 2018 was an emotional roller coaster that gave me a lot to be grateful for after a LOT of emotional labor to be ready for those blessings. It was a banner year at Ark Entertainment Media. We did more than double our previous year’s earnings, making it one of the highest-grossing years of my entrepreneurial career. We expanded the Incubator this year, which helped bolster revenue, but book and course sales were higher, with an average 33.73% of my revenue coming from leveraged offerings. My goal was 60%, so I fell short, but with the business downturn in Q3/4, I’m pleased with the final outcome, since we’re on track to do even better in 2019. One of the interesting things that I discovered was that Portable Coaching is a great feeder to my other offers. In fact, by the end of the year, most of the people who started Portable Coaching had graduated to A-Club or another program. Since I didn’t market it heavily, the program didn’t get many new enrollments. On the other hand, A-Club doubled in size this year, and our retention rate is still around 80% with an average member lifespan of about 20 months. Still one of the highest in the industry, as far as I know. And we just added private coaching as a “consistency incentive” to stick with the program, so I think we’re going to do even better as we move forward. I added coaching because I realized how much more progress people can make with even just a little help from me. Clarity matters, and a good coach can help you get that clarity quickly. 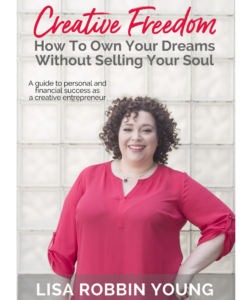 After the launch of my book, Creative Freedom, I saw a flurry of activity from radio stations, podcasters, and other media outlets that wanted to talk about the book and my process for helping creative entrepreneurs make good money doing what they love. My goal is at least one interview or guest post a month, and that’s a goal I’m maintaining this year. We’re entering year three of the Creative Freedom brand and season 5 of the show is just around the corner. Yes. I got out of my funk long enough to develop a content plan to re-launch the show very soon. I feel like I lived in a sense of Health and Wealth last year, but it certainly didn’t look at all like I expected it to. I’m glad 2018 is over, and i’m already soaking up the rays of 2019. It’s a beautiful day in Nashville today, and, for the first time in a long time, I have fun plans to be with someone I love on my birthday. That is no small thing for me. It’s more meaningful than me winning the lottery without buying a ticket. More meaningful than bigger gestures. Just staying true to what I really want and seeing that become reality. I want more of that in my life, and this is a great start to my year. It’s a #BraveNewYear for me, and as Gavin said, I don’t want to be anything other than me. The writer. The Performer. The Singer. The teacher and coach. The friend, lover, and mother. Just me. And be well-compensated for it. This year, it’s about a new album, a new publishing division (got a book inside you? Let’s talk! ), and new ways to reach even more creative entrepreneurs to help them own their dreams without selling their soul. There’s more, and it’ll come in time, but for now, that’s the news that’s fit to print. I’m off to enjoy my birthday! Marvel just dropped the official trailer for the upcoming film, Avengers Endgame. Filming began in August 2017, in the can since January, and in post production since October. Fans have been dropping concept trailers since August. But the current release date is scheduled for the end of April, 2019! You can’t buy tickets this early. So why drop the trailer now? Disney knows a thing or two when it comes to marketing. Yes, it takes time to edit a film, but not 18 months! The Marvel Cinematic Universe is a carefully choreographed series of content pieces that all work together on one timeline. They are released in a particular order that synchronizes with every other piece of content: film, television, etc. They tease future films in current ones, so you get a taste of what’s to come. There are over 20 films already released in this series, with at least 15-20 more in the works (not to mention the numerous television series that are also interconnected to the film storylines)! Disney also intentionally delayed the release of this trailer after the death of former President Bush. Disney insiders said they wanted to capitalize on the anticipated record-breaking buzz they’d get from the trailer release. If they released on a national day of mourning (when the markets are closed), they’d get very little financial benefit from dropping a FREE video clip. The buzz created from record-breaking video views means an increase in stock price for Disney and their shareholders. They weren’t about to miss out on that! While you may not have a bunch of shareholders, you DO have a vested interest in watching what Disney is doing with Marvel’s Avengers. They know how to create buzz and drive demand for an offer – even if that offer is a $10 (or $20) movie ticket. Marvel’s content marketing plan stretches for nearly 18 months! Here’s the thing: all that content comes directly from the film itself (and the people in it)! They’re not re-inventing the wheel and trying to crank out a bunch of unrelated content to sell movie tickets. They’re giving you some of the best bits of the movie (including the actors) well before the release date in order to entice you to buy a ticket and see the whole thing! You need compelling content to be able to maintain that buzz for the long months between the start of filming, the first trailer release, and opening day at the box office. Certain media outlets get exclusive behind-the-scenes access during filming. The actors and directors book interviews and use their social media to talk up the film from shooting through opening day. Disney releases trailers and special behind-the-scenes clips to keep fans talking. The more fans talk, the more fans watch. The more fans watch, the more fans talk. Good or bad, like it or not, the buzz keeps going, which means higher box office sales on opening weekend. Granted, you may not have multiple offers to choreograph like Marvel does, but it’s still important to plan ahead when you’re marketing and selling your offers. Do you need 18 months to sell your next big thing? Maybe, maybe not, but a solid content marketing plan can make the difference between shoddy sales and blockbuster results. What if you could create compelling content like Disney (and Marvel) for YOUR offers? What if you could take a closer look at the elements of your offers and tease out the most compelling bits to share with your audience BEFORE your release date? What if your content could build buzz with your fans and get people talking about your content (and by extension, your offer) in advance, so that when you’re ready to start selling, people are lined up and ready to buy? That’s what we’re talking about this month in my Accountability Club! On Saturday, December 29 at NOON Central time, we’re going to take a closer look at how Marvel and many of today’s big names in entertainment, use different types of content to build excitement and drive demand for their projects. We’ll also look at how you can use that same approach for your own upcoming offers. If you’re not a member, then you need to be on my email list to get the zoom link to join us! * How to pull your content marketing material directly from your existing offers – regardless of your industry. * 7 types of content that Hollywood uses to great effect – and how to do the same for your own offers. * my exact process for generating as much content as possible in as little as a few hours. * plus, access to the VERY SAME document I use that makes it super easy to keep your ideas organized. * And a sneak peek at MY content marketing plan for A-Club next year! This is a WORKSHOP. Which means, you’ll be working on your own plan with me during the session. As such, we’re probably going to run a little longer – about 90 minutes instead of our usual 60. You’ll be able to ask me questions and get suggestions for your specific plan… but only if you show up to the live workshop! If you follow me on Facebook, you probably saw my recent facebook post about the ah-ha’s that I had on my Thanksgiving drive. Ah-ha’s that led to some of the changes I’m making in 2019. Changes that I believe will benefit you in a BIG way. Essentially, I’m creating a free learning library for creative entrepreneurs that’s stocked with some of my best and most important programs. I’m also changing how I do coaching, and raising rates on a few offers. In light of all the changes, December will be the LAST time I’ll open up my monthly A-Club training to the public. I had planned a lengthy post about all the reasons current marketing and sales models are effective yet broken, but the truth is that you already know that and/or have experienced it intimately. Instead, I’m going to cut to the chase and tell you what I’m doing to change that dynamic in my own work. Every year, I put a lot of thought into how my business can be of better service – to my audience and to myself. After all, if the business doesn’t work for who you are and how you best show up in the world, it will leave you feeling frustrated, resentful, overwhelmed, and generally burned out about the whole thing. So why bother? The nexus between serving your best clients and serving your own needs is where the gold is for any creative entrepreneur… including me! I’m lucky to be able to do a lot of what I love. Incubator applications doubled this year and we were able to add a few new clients, which thrills me. Growing this piece of the business proves to me how much this kind of support is needed (and valued) in the world. I want it to be available to more people. That means it can’t all rest on me. I’ve experimented with adding support staff this year with mixed results. I also had a lot of people apply who simply weren’t qualified for the help we provide. I referred most of them out to other programs or services, yet in my heart, I knew there was a way I could help them, if I wasn’t already spread so thin. I also want to do other things besides the Incubator. I’m working on Album #4 and another book. My Grand Vision is to have a full-fledged production company at some point, so I started testing the waters this year with smaller publishing projects. 2019 will see the addition of our hybrid publishing division, and that means I’ve got to free up my time to put some focus there. #1. I’m creating a free learning library. I want 2019 to be the year of more income – not just for me, but for all creative entrepreneurs. One of the ways I’m doing that is by re-structuring my business to give more free training to the folks who need it most. Most of these early stage entrepreneurs have no money – or should think twice about investing what little they do have in anything. The number one goal of Early Struggle is to get out of it as fast as possible… before the funding runs out. There’s an ethics issue that’s always bugged me about encouraging an audience with little to no financial means to “sell their cat” in order to work with you. No joke. I actually heard someone say that once in their sales pitch. Not me. Not ever. Ick. I can’t feel good about selling to struggling entrepreneurs anymore because their money is better left “on the table” and in their pockets, so to speak, to pay the rent, buy food, and take care of themselves. But I have dozens of training programs designed for this audience. That material is still relevant and as important as it ever was, but it never sees the light of day because there’s no ROI in trying to sell it. So I’m not going to sell it anymore. I’m going to put it in my free learning library. Let me be clear… I’m not watering them down or offering “samples” from the program as part of some “launch” strategy. These are the very same courses others have paid hundreds of dollars for. Programs that have helped people make good money doing what they love. Programs that are all suitable for someone in Early Struggle – a time when spending as little money as possible can be the difference between surviving and crumbling. I don’t NEED to charge for these programs. It’s liberating to say I can afford to give away access to these programs. That’s always been one of my goals – to provide real help and training for the creatives of the world so that they can stop being starving artists and make good money doing what they love. So yes, it is partly a marketing experiment, sure. It is also an effort to “put my money where my mouth is” when it comes to leveling the playing field for marginalized and disadvantaged people who need real help to get their dreams launched. I want more people to have access to that knowledge – and I don’t want money to be a barrier. I have several paid offerings that support my company and provide me and my team with an income. Incubator, as I mentioned, is growing. So is A-Club, and with the changes to that program, I see it becoming an even stronger revenue stream. My books, CD’s, and live event are also part of my revenue model. So I have plenty of stuff for sale, and my theory is that when these folks have learned and implemented all they can from the learning library, and they’re financially ready to make an investment, they’ll think of me first. Rates for all programs related to personal coaching are going up. I just raised the Incubator minimum retainer. A-Club is probably going to double. Individual coaching rates are going up and I’m exploring doing group coaching for the first time. Bluntly, there’s a LOT you can accomplish without the need for a personal coach. And when you’re stuck to the point that you need personal help, I know I’m pretty damn good and worth every penny. My time is more precious to me than ever before, and one of my 2019 goals is to be able to take an entire month off during the summer to be with my family. So I’m raising my rates to compensate me for my time and the opportunity cost of investing that time with you. I have often said that when you charge more you can afford to be more generous. I teach this to my clients, and I try to model it myself. Higher rates for one-on-one time subsidizes the other company projects, too. One of the things that I discovered this year was how much clarity and confidence a person gets from a single session with me. I had a few one-off sessions with my current A-Club clients and they all seemed to make great strides with just a small turn of their key. It got me thinking that I wanted to continue to make this available in a way that worked for me. I can’t offer everyone a coaching session every month. What I can do is use private coaching as an incentive to encourage members to stay. Our retention rate averages nearly 2 years, so it feels good to me to encourage people to stick around by spending some one-on-one time with them. Starting in 2019, I’ll be offering sessions to A-Club members for every 4 months of enrollment. If you pay for a year in advance, you’ll get a bonus session. I don’t know any other accountability programs that are offering personal support or guidance to their members. I’m glad to be able to do it for mine. Hint: Get in NOW before the rates go up in 2019! I’ve been behind the scenes on dozens of best-selling book launches. I’ve self-published two Amazon best-sellers of my own, and brought our first client through the publishing process this year. I’ve experienced a lot of what works and what doesn’t. I’ll be using the same pay-for-results model we use with the Incubator to help a few authors get their books out into the world next year. Watch this space for more details and our first call for authors in Spring, 2019. This will be the last year Creative Freedom Live is offered in the current format. The current format will become the Creative Freedom Client Retreat in 2020, and I’m taking Creative Freedom Live on the road. Local, one-day events across the country to reach more creative entrepreneurs where they live. The actual events won’t start happening until 2020, but tickets will go on sale in 2019. I’ll also be doing more speaking, performing, interviews and guest appearances/posts. I’ve always had scholarships for all my digital programs. That’s not changing. I just wanted to make mention of it. If there’s a digital program you want to attend, contact me. We’ll work together to come up with a scholarship plan that works for both of us. Those are the coming attractions at Creative Freedom HQ. Again, I can do this because I can AFFORD to do it. Not everyone can, and not everyone should. And maybe after 2019, I’ll change my mind. But for now, it’s game on. In our last episode, I shared some tips to know if an event is worth attending or not. This week, it’s only fair I offer some tips and lessons learned from my past 10+ years of doing live events. From basic teleclasses and online concerts to big, multi day virtual and in-person events, here are 8 lessons I learned – the hard way – that can save you a LOT of headaches and lost money when planning your next live event. 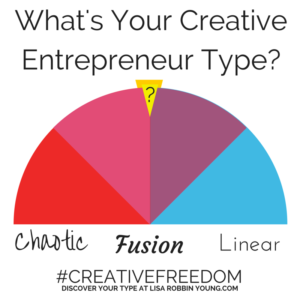 Update: Creative Freedom Live is filling up! We’ve got 2 private rooms left for the event. If it’s a good fit for you, I’d love to see you there! What kind of support do you need to make your next event a success? Creative Freedom Live – join us in Nashville in October!